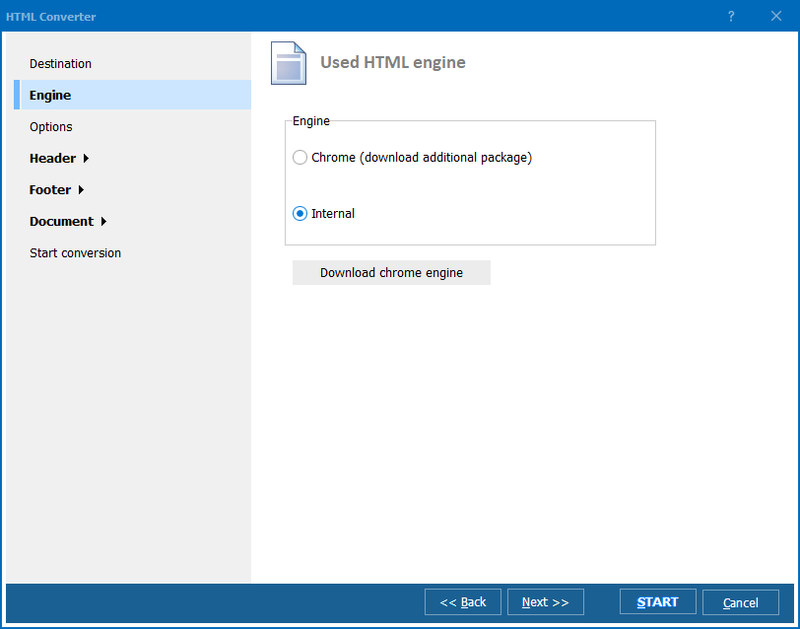 MHT is a file extension for MIMI HTML (MHTML) intended for storing complete web pages with all media data elements contained in them, such as Flash animation, Java script and audio files. Storing information in MHT is a convenient way to save important and interesting information on a PC. However, when you want to convert MHT to JPEG you look for a handy and affordable solution. 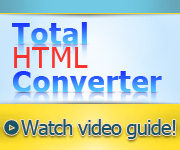 Total HTML Converter is the handiest and most powerful image conversion utility available right now. It supports all popular image formats, and it is a treasure for those who hate to wait. The tool features batch function that enables you to convert files in large numbers with just one click of a button. 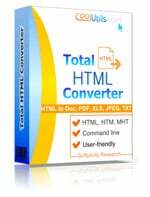 Total HTML Converter can be used as a MHT converter, since it supports MHT files and converts them to JPEG and other popular formats. Converting MHT to JPEG is the easiest and most reliable method of saving web pages. The procedure is very simple. All you need to do is launch the program, select MHT files by checking them and specify JPEG as the target format. If you would like to batch-convert the all the files contained in your selected folder, click Check All. All the files will be check-marked automatically. The handy wizard will help you make your settings and achieve good image quality. There are other ways you can use this mht converter. It integrates into Windows, so you can convert MHT to JPEG right from the desktop. All you need to do is right-click on a file and select Convert to. Use command line support to run the utility from within other programs. This MHT JPEG Converter is available for download. You can either buy it now or download the demo version and see how it works. The trial version is valid for 30 days. Our pricing is clear and concise, no hidden costs! Once you purchase the tool, you will get all tech support and upgrades for free. 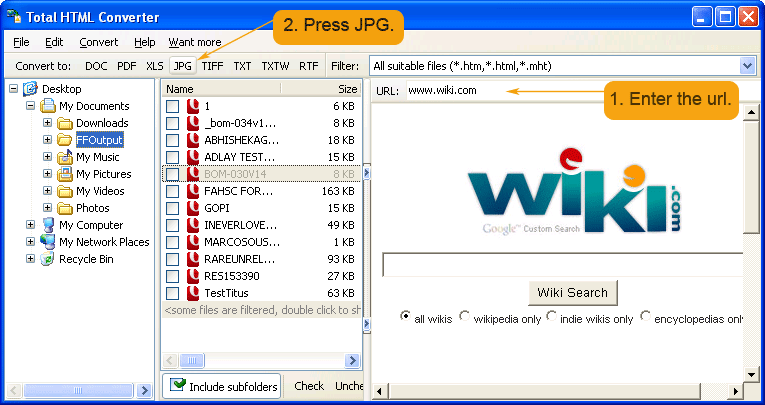 Convert HTML files to JPEG with ease!